Even if calorie restriction does not help anyone live longer, a large portion of the data supports the idea that limiting food intake reduces the risks of diseases common in old age and lengthens the period of life spent in good health. The second of Michael Mosley’s PBS series on health is titled Eat, Fast and Live Longer. A significant portion of the program is devoted to the health effects of fasting or caloric restriction. (He does not suggest that you actually consume your food at a rapid pace.) I’ve read and heard about some of the benefits of fasting and I’ve played around with it a little bit. After understanding the results of Mosley’s self-experiment with fasting, my wife and I both were very motivated to enact some form of fasting in our lives. Watch Eat, Fast and Live Longer with Michael Mosley on PBS. See more from Michael Mosley. There seem to be several noteworthy benefits to fasting (aka caloric restriction.) I’ve written before that hunger actually seems to stimulate movement and alertness. The idea being that a hungry animal must go look for food. An article in the Harvard Gazette discusses studies with similar findings. Fasting decreases levels of IGF. Beyond just cutting calories, protein needs to be reduced as well. Watch Mosley’s special or read his BBC article The Power of Intermittent Fasting for more discussion on fasting and IGF. I’m not a true academic researcher and I don’t claim to have found all the definitive evidence of this whole IGF/disease relationship, but from what I’ve read and heard it sounds like too much food may push us towards some types of diseases including various cancers. Periodic caloric restriction seems generally like a good, healthy idea. If you look at the Wikipedia entry for fasting, you’ll see that the practice has been around all over the world for thousands of years, often for religious purposes. I tend to think though that if a practice hangs on for that long, our organism must on some level see something beneficial in it. Further, as noted in the Scientific American article How Intermittent Fasting Might Help You Live a Longer, Healthier Life, ancient humans were often forced to fast due to availability of food. A reliable supply of three (or more) square meals a day is a very recent addition to humanity. It’s possible that this pressure in evolution helped select for healthier genes that survive today. In the next entry, I’ll discuss various types of fasts and my early experience in toying with caloric restriction. Attention all exercise geeks and anyone fond of learning about the ins and outs of regaining or maintaining your health: You must check out the new series from PBS called The Truth About Exercise with Michael Mosley. (Actually, it seems that each episode has it’s own title “… with Michael Mosley.”) I watched the first episode and it’s tremendously interesting. The second episode is titled “Eat, Fast and Live Longer.” I just started it. How to reduce your insulin response with 3 minutes of (very) intense exercise per week. How and why exercise can help remove fat from the blood stream. The very deadly perils of sitting too much. I know very little about Mosley but that he seems to be a fairly common sort of guy who’s not in particularly good shape. He has the questions about his health that many of us have. 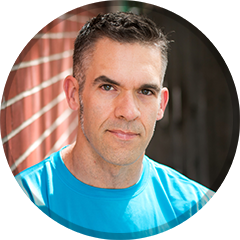 He talks to various exercise physiologists, nutrition scientists and coaches as he searches for answers and examines several exercise myths. I love it because much of what he discovers is informed by the latest science. He’s not rehashing the “common knowledge” (which is commonly stale and fairly inaccurate.) It’s a very entertaining show that moves quickly and isn’t overly science-y. It has a pretty decent soundtrack as well. I highly recommend it to anyone reading this right now. Previews of each episode are below. Go here to watch the full episodes. Watch The Truth About Exercise with Michael Mosley – Promotion on PBS. See more from Michael Mosley. Watch Guts with Michael Mosley – Preview on PBS. See more from Michael Mosley.